Welcome to our new - open in May 2008 - elegant, cosy hotel. The advantage of our hotel is favourable location in close neighbourhood to the Old Town. 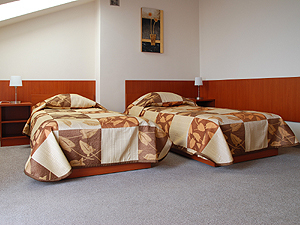 We offer 20 rooms including: 12 double rooms and 8 double studio type rooms. The rooms are comfortable and very spacy with folding sofa. The rooms have bathrooms and internet access, TV Sat. Our guests have small conference room to their disposal, where small events may be organized. Breakfasts are served in the restaurant. City tax - 1,60 PLN per day/ per person with over 2-day stay City tax in not included in the room price. 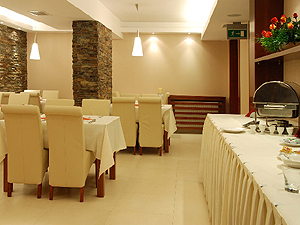 The hotel is situated 0,5 km away from the city center. The nearest railway and bus station is 3,4 km away from the hotel. The airport is 16 km away. The hotel is accessible by bus no. 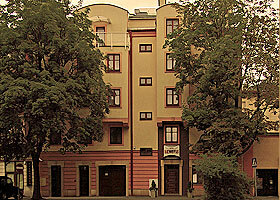 :124, 179 from the main station (Dworzec GĹĂłwny).